ASF Video Converter is an easy-to-use converter which supports Windows Media files. Sure, you can use this application to convert ASF files to AVI or MPEG, but there is a lot more to it than that. A long time ago, ASF files were really popular because of their quality to size ratio, but that has all changed with the introduction of the DIVX and XVID codecs. Still, many users still prefer the Windows Media format ASF, and this application can help them convert those files to more widely accepted ones, such as AVI, MPEG, WMV, 3GP, MP4 and so on. With ASF Video Converter, you can expand the video resources for editing and entertainment. ASF Video Converter is a professional video-converter to convert video files from one format to another. It is designed to meet all your demands of converting ASF to AVI, ASF to MPEG, and ASF to WMV, 3GP, MP4, MKV, etc. 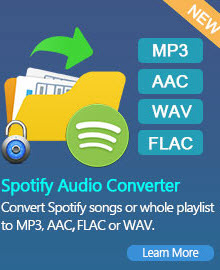 Why Choose ASF Video Converter? ASF Video Converter is designed for converting ASF to WMV, ASF to AVI, ASF to MPEG, ASF to MP4 or other videos format with highest conversion speed. Also, the output video will be in the best quality. ASF Video Converter can easily convert video between all common formats such as AVI, MKV, MP4, WMV, MOV, MPG, MPEG, 3GP, 3GPP, MPG, ASF, FLV, VOB, also it can extract audio format WMA, M4A, MP3, etc. from any videos. ASF Video Converter is an All-in-One video converting tool with easy-to-use graphical interface, it allows you to effortlessly convert video files between every format. Support iPod, Zune, iPhone, Apple TV, PSP, PS3, Xbox 360, Archos, Sandisk, iRiver, Creative Zen, PMP, MP4/MP3 Player, Smart Phone, Pocket PC, PDA, Mobile Phone, etc. ASF Video Converter is custom-made and professional ASF Converter to convert video to ASF, WMV in great quality. 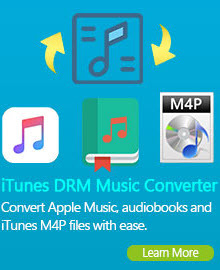 More specially, this ASF Video Converter supports so powerful adding video formats, like MPG, MPEG, MPEG 2, FLV, SWF, VOB, DAT, MP4, M4V, TS, RM, RMVB, WMV, ASF, MKV, AVI, 3GP, 3G2, MOD, TOD, MOV, DV and HD video. To meet your needs, it even enables you to get high definition ASF, WMV video from those files. You can preview the ASF video in the previewing window which is in the right hand of the program before editing and converting the video. When previewing video, you can take a snapshot of desired movie images and save them as PNG formats. You can set the start and duration of a certain clip you want to convert with ASF Video Converter. Also, you can set several segments and convert them in one time. It saves your time! ASF Video Converter also allows you to change video brightness, contrast, saturation, and apply other effects including mirror, flip vertical, rotate by 90 degrees clockwise and flip, rotate by 90 degrees clockwise, rotate by 90 degrees counterclockwise, rotate by 90 degrees counterclockwise and flip, noise, and sharpen. ASF Video Converter allows you to merge several video clips into one file or convert a single one you want. It supports batch conversion and customizing conversion profile to make your conversion much easier. The Advanced Systems Format (ASF) is an extensible file format designed primarily for storing and playing synchronized digital media streams and transmitting them over networks. ASF is the container format for Windows Media Audio and Windows Media Video-based content. The extension wma or wmv is used to specify an ASF file that contains content encoded with the Windows Media Audio and/or Windows Media Video codecs. The Windows Media Format SDK can be used to create and read Windows Media files, as well as ASF files that contain other types of compressed or uncompressed data.